Technology’s unprecedented quality of transmission at super speed and high resolution does not replace the human need for quality communication. Illuminated, with the release of Avatar 3D on one kind of screen, is human longing, love and a sense of higher purpose. What else is communicated about our world in the pings and bytes? Some attempt to represent pure human interconnection, human interaction and the intangibles of our souls – emotion, aspiration, the multitude of messages embodied just in our expressive eyes. The message carried by the movie is surely the limitless human imagination in both technology and story. Imagination in human communication has been with us for eons. It may be beamed out to and for us via pixels and prose, infinitely, if the box office success so far is any indication of the thirst, world wide, for a story well told and traveled. I watched the 3D movie AVATAR. The term ‘Avatar’ is not new to the cyber generation and it is not new even to the older generations in India (In Sanskrit it means incarnation). If I need to choose one word to describe the movie, it is ‘Brilliance’.Imaginations in the human mind has no limits, the medium these imaginations could be manifested is the limitation. We are awestruck when these barriers are broken, every time. Jaws dropped when someone made a moving picture then when people could talk in the movie and when they could see it in colors then seeing their favorite cartoon character live and moving, when they could hear to stereo sound and then multiple channel surround sound…Records are set, only to be broken and our species is always in the pursuit to keep bettering things, which is what sets us apart. It is the pursuit to excel and control that makes us adventurous. Not intending to write a long commentary about the plot, this fictional movie talks of the adventurous attitude added with greed driving humans to not respect the way of life of other alien beings in their land. As always, good wins over evil, in this case, evil being the human kinds. The hero here is the story telling, I am amazed to see how much technology has enabled us to depict our dreams. There’s been 3-D movies earlier but here’s one I see which has not used this technique to thrill people by scaring us rather make us experience the environment. There are certain scenes where it is hard to resist putting out your hand to feel a beautiful glowing seed that descends down the holy tree. I also see that Hollywood is evolving to think beyond a limited set of sounds made by aliens or huge creatures which have been a predictable standard so far from the Dinos to Godzillas to any other kind of monsters. Here are some barking, tweeting and cawing species. 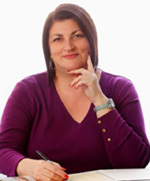 HELENA specializes in effective business writing and conversation training for individuals and small groups who wish to improve their workplace and personal communication. Twitter, Face Book ID is: HelenaKaufman.